Pancreatic cancer is a challenging disease to research, in both the preclinical and clinical setting. Due to an abundant tumor microenvironment (TME) the disease is highly resistant to a range of therapies, including current immuno-oncology agents. This has resulted in stagnation in treatment regimens, and no improvement in survival over 30 years of research. There is an immediate need to develop new treatment options to overcome resistance, as well as preclinical models which truly recapitulate human disease. Novel models which more closely characterize the human TME will enable researchers to better understand the efficacy of potential new therapies before they enter the clinic. 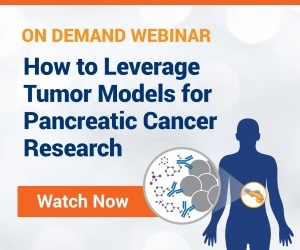 In this webinar, we explore recent research overcoming pancreatic cancer challenges. We also discuss CAR-T cell therapy as a novel treatment option for the disease, and deep dives into the development of tumor homograft models for more clinically relevant drug development. 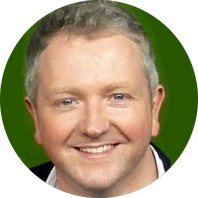 Mike has over 20 years’ experience in preclinical and translational science, business development, and marketing, across a variety of academic, industrial, and commercial roles. His major focus has been in cancer research and small animal imaging and he has authored more than 30 abstracts and publications. Mike started his career at the Northern Institute for Cancer Research, Newcastle University, UK, (1997-2011) where he developed expertise in the design and establishment of new models of cancer (including primary, human derived models, and orthotopic models in both solid and liquid disease). Mike also made key contributions to the development of a number of novel anticancer drugs now licensed or in late stage clinical trial. Prior to joining Crown Bioscience, Mike worked as an independent consultant to Pharma and Biotech. His previous roles include Head of Oncology and Preclinical Imaging at Epistem Ltd. (2011-2016), and Senior Business Development Manager, Global Marketing at Waters Corporation (2016-2018). Mike is an active member of the American Association for Cancer Research.